Fantastic image and processing Betty!!! 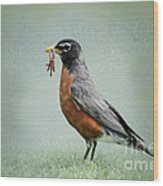 f/v USA Artist News. Thank you, Blair, it is a homemade texture! Oh my, thanks again, Sharon! I appreciate the feature, Darren, thanks so much! Thanks for the feature, Sharon! Thank you, Bob! I just parked myself on my patio with the camera and waited. Mr. Robin obliged. 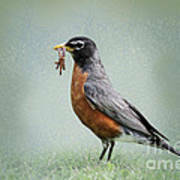 Thank you, so typical of robins, isn't it? I bet you've seen your share with beaks full of worms! 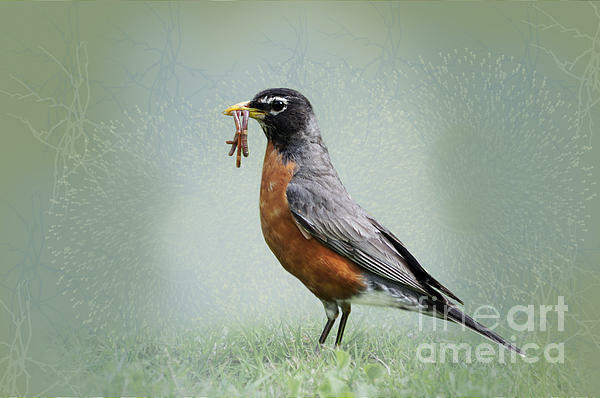 A male American Robin, Turdus migratorius, gathers up earthworms to take back to his nest.